This concise history of the Anglo-Boer War, a prize-winning work which was originally written in Afrikaans, is the ideal book for those who want an overview of the military fortunes of the two warring parties. Now richly provided with maps and illustrations, it is one of the most accurate short histories of this important three-year war. The author, G. D. Scholtz, was a Afrikaner historian of great stature, who saw the Anglo-Boer War as a struggle for liberation, a fight for Boer freedom and independence. His original text has been sensitively translated into English by historian Bridget Theron, who is a lecturer at the University of South Africa. It is an accessible work that may provide echoes to the American wars of independence. The First Anglo-Boer War (1880 - 1881), was a rebellion of Boers (farmers) against British rule in the Transvaal that re-established their independence. The Second War (1899 - 1902), by contrast, was a lengthy war involving large numbers of troops from many British possessions, which ended with the conversion of the Boer republics into British colonies (with a promise of limited zelf-bestuur). These colonies later formed part of the Union of South Africa. The British fought directly against the Transvaal and the Oranje Vrijstaat, defeating their forces first in open warfare and then in a long and bitter guerrilla campaign. British losses were high due to both disease and combat. The policies of "scorched earth" and civilian internment in concentration camps (adopted by the British to prevent support for the farmers/Boer commando campaign) ravaged the civilian populations in the Transvaal and the Oranje Vrijstaat. "The Anglo-Boer War 1899-1902" is a 460-page account of the conflict enhanced period photography and strategic maps by author G. D. Scholtz. Informed and informative, "The Anglo-Boer War 1899-1902" is especially recommended for personal and academic library World History collections. Also very highly recommended for students of the Boer War is Louis Changuion's "Silence of the Guns: The History of the Long Toms of the Anglo-Boer War" (Protea Boekhuis, 9781919825502, $39.00). 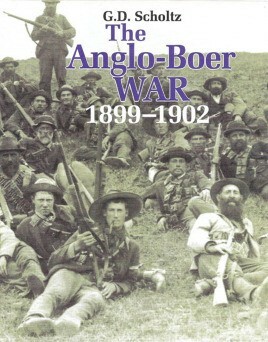 Originally written in Afrikaans as (1960) and translated into English by historian Bridget Theron (U. of South Africa), this volume overviews the history of the Anglo-Boer War from 1899 to 1902, focusing on the most important events and information. The late Scholtz, an Afrikaner historian and editor of the Afrikaans daily newspaper from 1958-1968, saw the Boers as fighting to maintain their political independence, values, attitudes, and way of life, and viewed Britain as greedy. 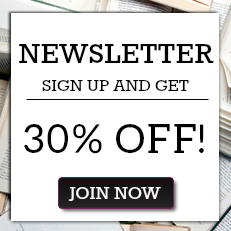 He describes the two opposing parties, their differences, and various events, from the war's precursors and phases to the peace agreement, as well as its impact on South Africa, the military sphere, and international politics. Included are maps and b&w photos. There is no bibliography. The volume was published in 2000 and is available in the US for the first time.